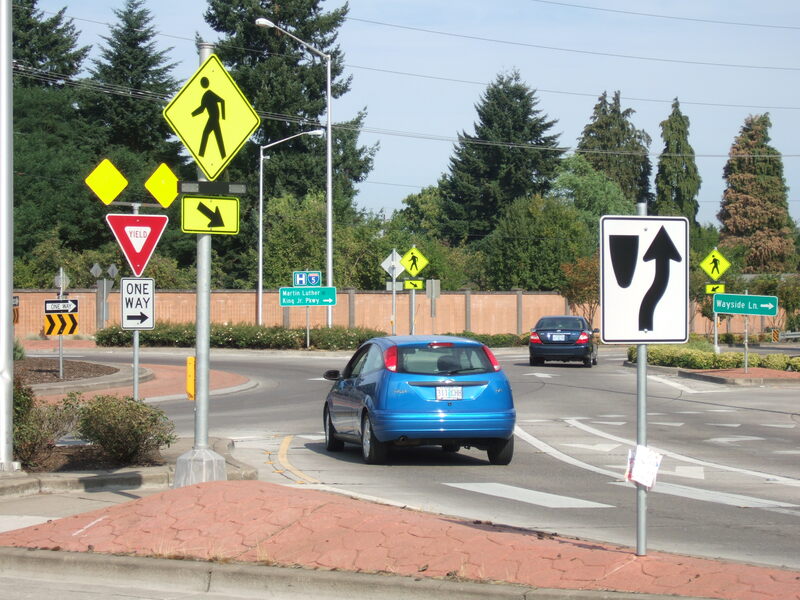 The Transportation System Plan (TSP) Implementation Project updates the City’s development code to reflect relevant policies and actions established in the TSP, adopts the Conceptual Street Map and updates the TSP project lists and maps. The objective is to implement the Goals, Policies, and Actions adopted in the Springfield 2035 Transportation System Plan (see Chapter 2: Goals and Policies here). View current, adopted plan below. Contact Emma Newman at enewman@springfield-or.gov to be added to the interested parties list. 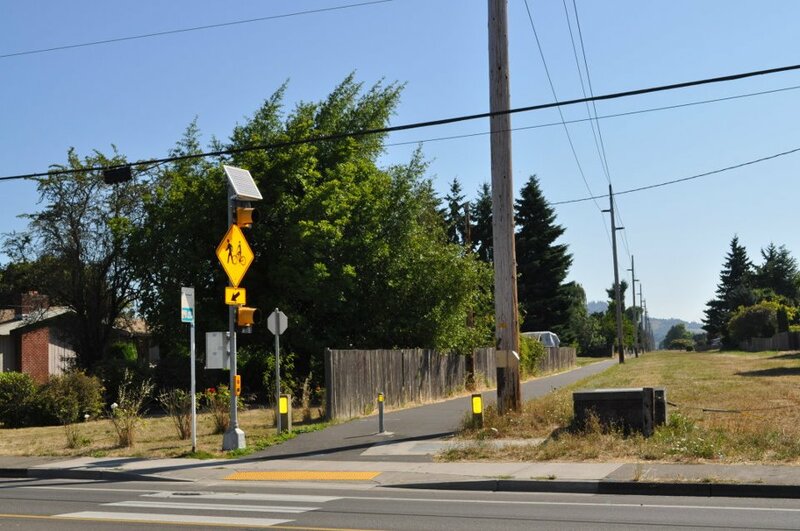 On August 15, 2018, the City of Springfield and Lane County Planning Commissions approved a recommendation to be forwarded to the Springfield City Council and Lane County Board of Commissioners. Fall 2018 – Spring 2019 the Springfield City Council and Lane County Board will review the project record, hold a public hearing, deliberate, and make a find decision. See below for the Planning Commission recommendation and other project details. The City Council will meet in Work Session on March 4, 2019. Postcard Mailed to Property Owners – Ballot Measure 56 requirement – In 1998, Oregon voters approved Ballot Measure 56. Under Ballot Measure 56 cities and counties must send a notice to property owners when they “rezone” property. “Rezoning” includes changes to land use regulations that limit or prohibit uses of property that are currently allowed. The City has sent this notice to all property owners inside Springfield’s urban growth boundary as required by law. However, the City has not determined that the amendments will reduce the value of a specific property. The proposed changes may reduce, increase, or have no effect on a specific property’s value, depending upon various factors. An Open House was held from 4 to 7 PM on Tuesday, January 9, 2018 at Springfield City Hall, 225 Fifth Street in the Jesse Maine Room. Read comments received from the Open House on January 9, 2018 here. Read comments received by email and mail prior to January 11, 2018 here. Read comments received by email and in-writing between January 12-29, 2018. Read comments received by email and in-writing between January 29-February 6, 2018. Read comments submitted for the record at February 6, 2018 public hearing – updated February 16, 2018. Read comments submitted for the record between February 6-13, 2018. March 4, 2019 – City Council Work Session at 6:00 PM in the Jesse Maine Meeting Room at Springfield City Hall, 225 Fifth Street. Date to be determined – Joint City Council and Lane County Board of Commissioners work session and public hearing. Meeting details will be posted once confirmed. January 14, 2019 – City Council Work Session at 5:30 PM in the Jesse Maine Meeting Room at Springfield City Hall, 225 Fifth Street. View agenda packet here. November 26, 2018 – City Council Work Session at 5:30 PM in the Jesse Maine Meeting Room at Springfield City Hall, 225 Fifth Street. View agenda packet here. August 15, 2018 – Joint City and County Planning Commission deliberation and recommendation at 6 PM in the Library Meeting Room at Springfield City Hall, 225 Fifth Street. View agenda and packet here. March 6, 2018 – Joint City and County Planning Commission deliberation and recommendation at 7 PM in the Council Chambers at Springfield City Hall, 225 Fifth Street. View agenda packet here; see pg 7 View presentation slides here. February 6, 2018 – Joint City and County Planning Commission continued public hearing at 7 PM in the Council Chambers at Springfield City Hall, 225 Fifth Street. View agenda and packet here. 6 PM Work session and 7 PM public hearing in the Council Chambers at Springfield City Hall, 225 Fifth Street. The first draft, August 2, 2018, available here. The first draft, May 31, 2017, available here. The second draft, October 5, 2017, available here. The street connectivity standards within second draft have been revised as of October 10, 2017 and are available here. The third draft, November 11, 2017, available here. The fourth draft, December 19, 2017, available here. Planning Commission draft, January 23, 2018, available here. Revised table 4.2-1 amendment to Planning Commission draft, February 6, 2018, available here. The sixth draft, March 6, 2018, available here. Revised version, August 2, 2018, available here. Proposed revision, August 15, 2018, available here. Recommeded Changes using track changes, August 15, 2018, available here. The first draft, October 10, 2017, available here. The second draft, November 7, 2017, available here. The third draft, December 8, 2017, available here. Planning Commission draft, January 12, 2018, available here. Staff recommendations for revision to Planning Commission draft, February 6, 2018, available here. Planning Commission draft, March 6, 2018, available here. Revised version, March 6, 2018, available here. The first draft, November 21, 2017, available here. The second draft, December 11, 2017, available here. Additional Local Street Findings amendment to Planning Commission draft, February 6, 2018, available here. The City of Springfield is collaborating with partner agencies including Lane County, Oregon Department of Transportation, Oregon Department of Land Conservation and Development, City of Eugene, Eugene-Springfield Fire, Lane Council of Governments, Lane Transit District, and Willamalane by inviting their staff to be part of the project’s Technical Review Team. The City of Springfield adopted the Springfield Transportation Plan in July 2014. 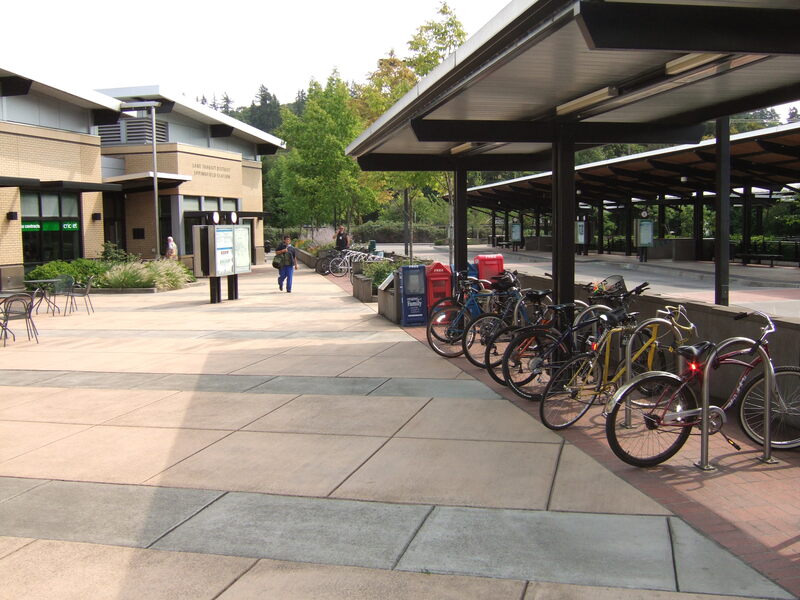 The 20-year plan looks at how the transportation system is currently being used and identifies the community’s multi-modal transportation system vision in order to serve the needs of residents, businesses, and visitors into the future.